Various odds and ends of angling video with my friend Steve Lockett, angling author including proprietor of the magazine WRITeANGLE. 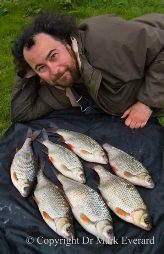 He also has a range of projects on the go right now, covering environmental as well as angling issues. There’s plenty more to tell you as these projects mature.